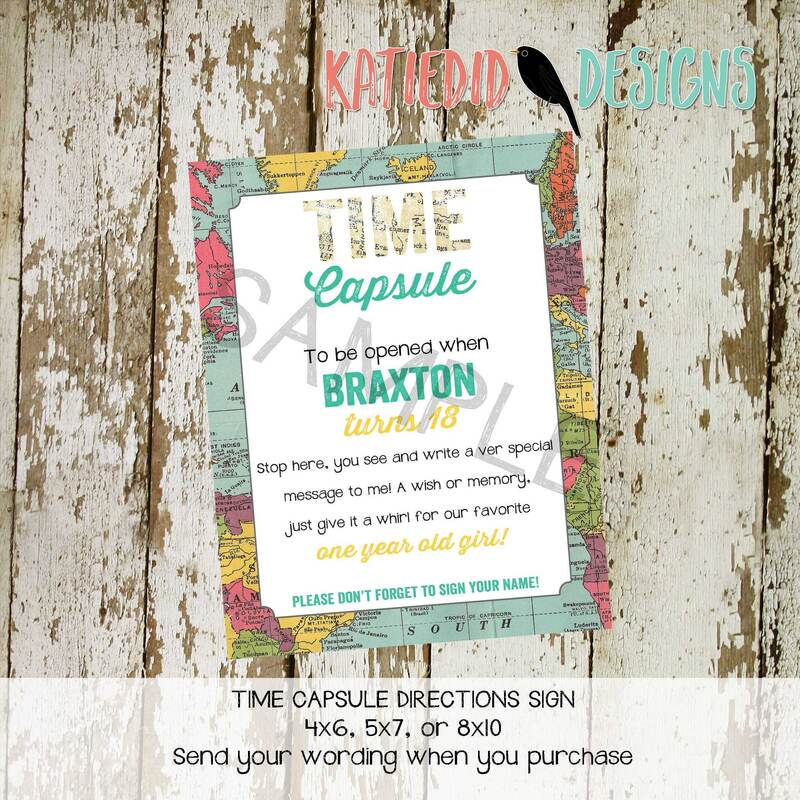 Time capsule directions sign for a first birthday, wedding, or baby shower. 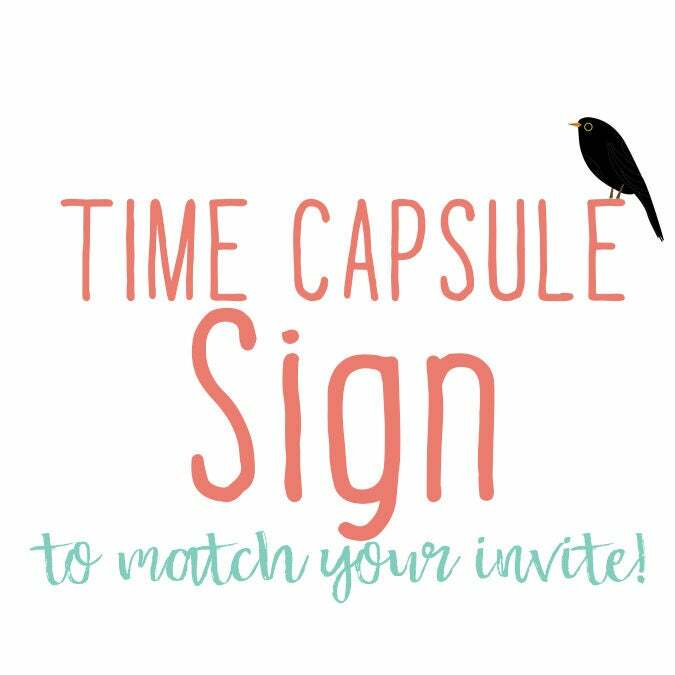 Have your guests write advice for baby, new mother or new bride to be kept in a time capsule to be read at a later date. printing available. Free shipping to US only.